January 31, 2019 - Like us now! 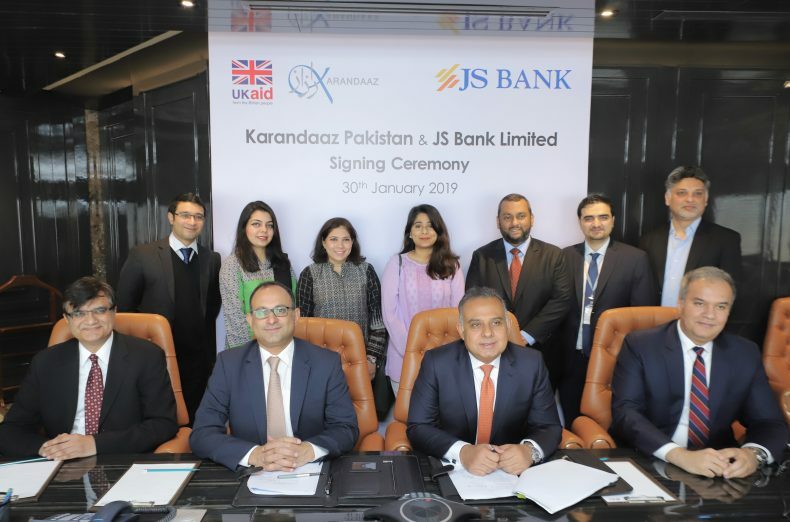 The UK-funded Karandaaz has signed an agreement with JS Bank to jointly make PKR 1 billion available for small and medium enterprise (SME) financing. Increased access to SME financing will create jobs, improve household incomes and increase economic growth at a macro-economic level in Pakistan. Karandaaz Pakistan, a company funded by the UK’s Department for International Development (DFID), and JS Bank have signed the risk participation agreement to jointly facilitate SME financing. The facility has been designed on a 50-50 risk participation basis between the two organizations to improve overall commercial lending for the SME sector in Pakistan. “This is an exciting new step in the UK’s support to Pakistan’s economic growth and improved business investment climate.